You’ve already read our earlier articles and have made reservations at a cat-friendly hotel. You’ve selected a safe cat carrier to keep your cat comfortable. Now you might be wondering what to expect while you’re actually on the road. 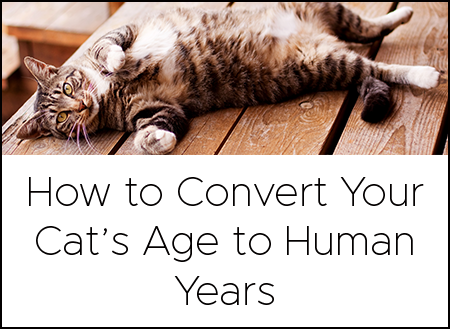 We’ve assembled some tips and strategies to help you and your cat throughout the journey, so you’ll arrive at your destination safe (and sane). 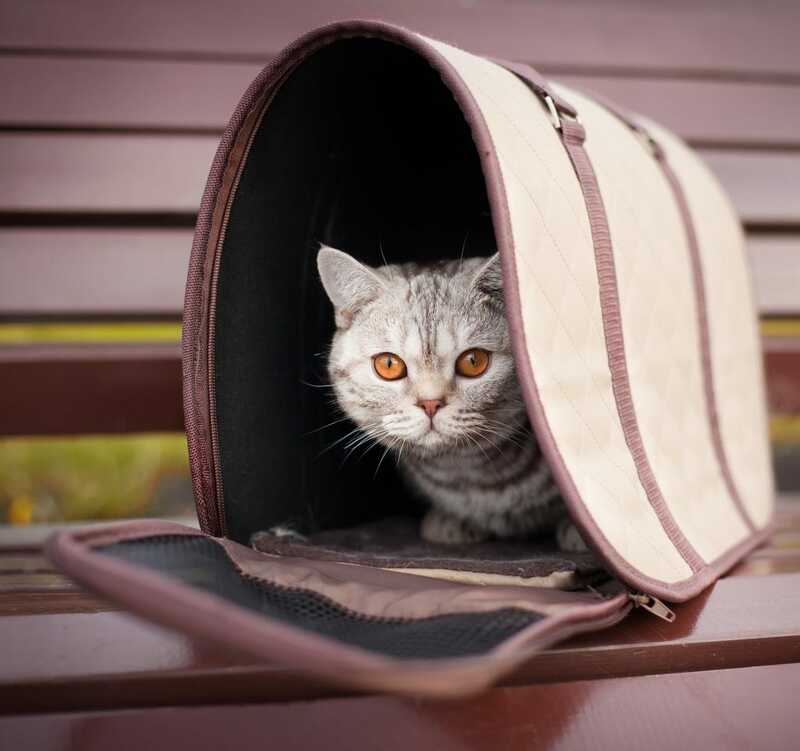 Several days (or even weeks) before you leave, get your cat used to his or her carrier by leaving it out and open. Place a blanket or towel inside to make it cozy and toss a few treats inside to entice kitty to explore it well before your trip. You want kitty to create positive associations with the carrier, since it will be home while you’re on the road. Before you leave, collect your cat travel gear. Assemble it all in one place and figure out an efficient way to carry it. You’ll need a litter box, cat litter, scoop, food, food and water bowls, toys, treats, and a blanket or towel that smells like home. Consider bringing a harness and stretchy leash, too, if your cat is used to them. Since traveling with cats (especially for multiple-night hotel stays) involves a lot of gear and many trips back and forth to carry it all, you’ll want to consolidate all the gear you can into one bag—with the exception of the litter box, which should be carried separately. Either rinse it out before departing each day or place it in an oversize plastic bag or a bin to prevent the spread of bacteria. Though odds are good nothing out of the ordinary will happen while you’re on the road, make sure to bring your cat’s veterinary records along just in case you run into trouble. Also make sure your cat has a collar with an ID tag—or even better, is microchipped too—just in case he or she escapes. Before you set off, remove any food and water bowls a couple hours before departure. 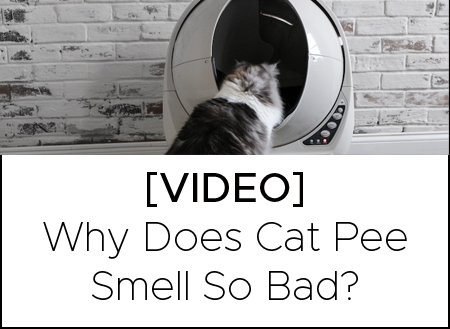 Most cats are able to make it through even an eight-hour drive without using the litter box, but there’s no sense in tempting fate. Do not let your cat roam around the car while you are driving. It might seem adorable to let kitty curl up on your lap, or perch on your shoulders, or sprawl across the dashboard, but it’s just not safe for you or your cat. Instead, get your cat settled in the carrier, then find a place in the car where it won’t slide around, and where you can see kitty clearly and easily. Make sure you’ve nestled the carrier in a place that has good ventilation. 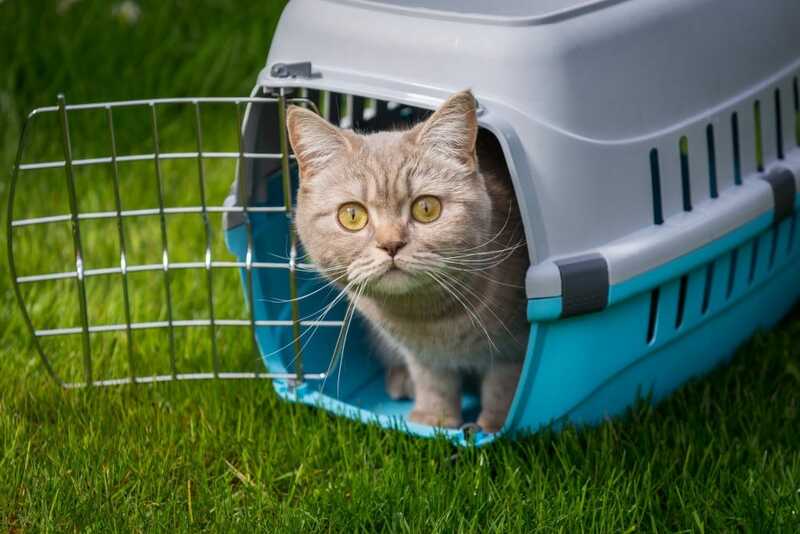 It may seem cruel to keep your cat confined for a long drive, but most cats will feel safer and more secure in the carrier. Most importantly, it keeps your cat from interfering with your driving, which keeps both of you safe. Most cats will choose not to eat or drink while you’re on the road, which is fine. Less food in their tummies reduces the chance of an upset stomach. Once you stop for the night and they feel relaxed, they’ll hydrate and fill up. While some cats simply curl up and sleep for the duration of a road trip, others are a little more challenging. Keeping your cat confined will help settle kitty down, but some felines are still going to voice their displeasure. Sometimes you just have to be prepared to listen to a little complaining. While it’s never ideal to listen to yowling as you drive, there may be times when you have no other option. If your cat simply won’t settle down in the car, your best bet is to do as little road tripping with your pet as possible. There are ways to sedate your cat if travel is necessary, but an agitated cat does not make a good road tripping partner. When traveling with your pet, whether near or far, consider how you’ll manage stops for the people in the car, including meals, restroom breaks, leg-stretching, and photographing vistas. Leaving your pet in the car unattended is never a good idea, but you might have to do it. If you’re traveling alone with your cat, for example, it might not be realistic to carry your cat inside every time you need a potty break. If you must leave your cat in the car while you go inside, make sure the heat or air conditioning is on so the car stays at a safe and comfortable temperature. Also, make sure to lock your car and to return as soon as possible. You may find it easier to eat meals in the car to avoid leaving your pet for more than a few minutes at a time. If you can find a safe outdoor space that is free of cars and other animals, having a picnic is a great way to take a break and eat a meal. Use a secure leash and harness, so kitty can explore a bit, or put the cat carrier in a shady spot at your picnic site. Probably the most important strategy for ensuring stress-free travel with your cat is to limit total drive time each day. While a cat may be able to make it for eight hours without complaining, a twelve-hour driving marathon is pushing it. For your safety and your cat’s comfort, make sure your itinerary includes enough time for meals, rest breaks, and significant downtime if you must drive more than eight hours in a day. Be prepared, pack the right gear and supplies, keep kitty safely contained and supervised, and don’t drive too long each day. 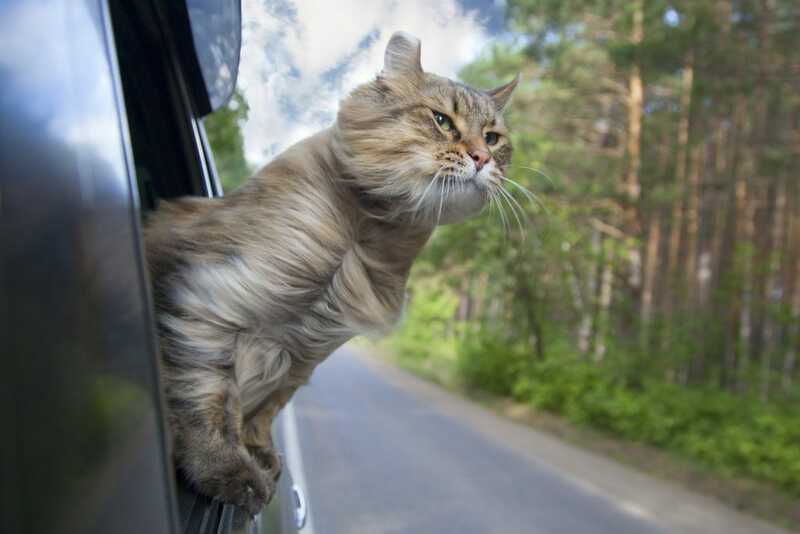 Apply these strategies, and you have a game plan for kitty road trip success!